My creative work and choreography is focused on the human condition: the questions, emotions, relationships, and difficulties that are the threads in the tapestry of all our lives. Repertory is created with a focus on helping the audience to connect to our universal human nature and serve as a witness to our message. Movement is created with the goal of being truthful and organic to both the performer and viewer. I strive to create relationships with our audience by providing thought-provoking, emotionally invested, and physically exhilarating performances. I am interested in multi-media work that integrates dance with projection design, spoken word, video dance, and other technologies. To view a sampling of choreography, please visit my You-tube link. On July 16, 2016, Diane Cahill Bedford and Alexandra Pooley presented their collaborative work The Outlawing of Insult at the Southern Vermont Dance Festival in Brattleboro, VT. The work was an adapted version of their multi-media work, ​The New Intolerance Part 1 which investigates how society and the media misconstrue this first amendment right. The adapted version eliminated the work's projection designs in order to be performed outdoors at Naulakha, the landmark home of Rudyard Kipling, author of The Jungle Book. The Gala Performance held at Naulakha included various performances around the ground's exterior gardens, pathways, and cabins. Guests were escorted in small groups on a journey throughout the grounds to witness each performance in a unique space. ​Dancer Lauren Banowsky performed the work a total of six times throughout the entire evening. In October 2015, Diane Cahill Bedford joined the Coordinating Committee for the Texas Dance Improvisation Festival where she regularly teaches. The 2015 festival was held at Texas Women's University in Denton and featured guest artist Darrell Jones. Bedford taught a master class during the festival and performed in the Secret Curatorial Committee's improvisational performance during the festival concert. Onwards and Upwards at first inaugural Austin Dance Festival. 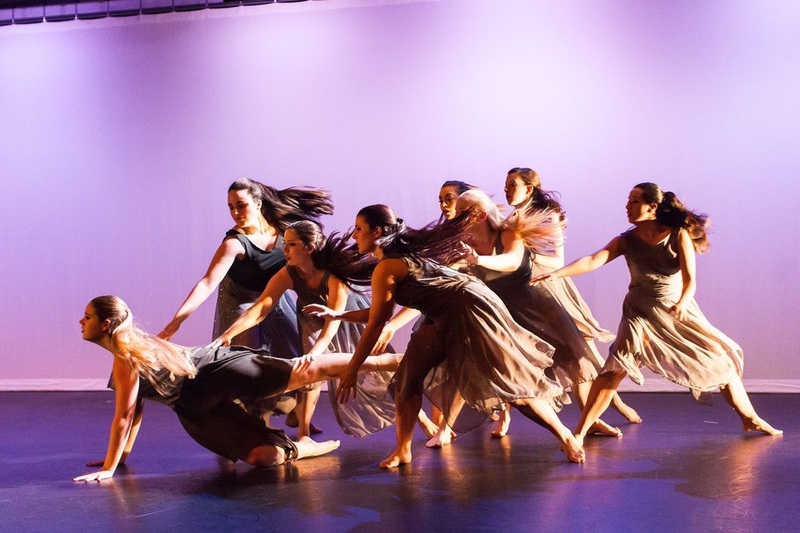 The work was selected for performance by the festival committee and showcased eight dancers from the Texas A&M University Dance Science Program. The choreographic concept investigated the idea of moving forward and venturing into unknown territory while remaining nostalgic of the past. For some, the work conjures ideas of moving onto the afterlife. As dancers tread silently in the corner, they break away from the group yearning to return to the place they left behind. Almost spellbound by the call of the past, the dancers must lift, pull, and support one another to continue their journey forward. In June 2014, Diane Cahill Bedford performed in Flower II: Marigold, choreographed by Jane Weiner (Hopestone Dance) at the first inaugural Houston Barnstorm Dance Fest. The work was created on Bedford along with Texas A&M dance faculty members during a week-long residency in January. 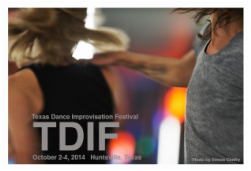 Diane Cahill Bedford served as a guest teacher for the 2014 Texas Dance Improvisation Festival in Huntsville, Texas. This year's festival was hosted by Sam Houston State University featuring Lisa Nelson and other guests from all over Texas for a 3-day festival of workshops, classes, and performances focusing on improvisational dance techniques. "Touch and Go: A Site Specific and Interpersonal Exploration" – What is the motivation and impetus of movement from touch? How do we move differently when motivated by animate objects/people versus inanimate objects? What movement vocabulary can we harness from touching versus being touched? What vestiges are left when touch disappears and movement remains? Together we will explore and investigate these questions as we move through a series of explorations with partners and with elements in the space around us. Diane Cahill Bedford partnered with Rebekah Chappell in the fall Houston Fieldworks Project. The duo developed a duet focused on investigating the idea of translation and memory. Both women acted as dancer/choreographers by creating solo phrases which were filmed and sent to each other. Each dancer only had three (3) opportunities to view the phrase before creating a "translation" phrase of their own based on their unique memories of the movements, ideas, or key words remembered from the viewing. These exchanges served to generate movement material for the duet. Through this process, both women sought to question what is memorable when we see dance, how different bodies and minds capture ideas, and ultimately how dance serves to connect us physically and mentally. The Fieldworks workshop culminated in a showing on Sunday, November 4th at 2:00 p.m. at the Barnevelder Movement/Arts Complex in downtown Houston, TX. Tickets will be $7.00 cash or check at the door For more information, please visit the CORE Dance website. Diane Cahill Bedford will be performing in Houston Choreographers x 6 showcase at the Jewish Community Center in downtown Houston. Diane will be appearing as part of the work of featured choreographer, Rebekah Chapell. Performances are Saturday, January 25th at 8:00 p.m. and Sunday, January 26th at 3:00 p.m. Tickets are $18 ERJCC Member, $24 Public, and $12 Seniors and Students. Information and tickets can be found at the Arts Hound website. The work explores the idea of awkward social interactions such as elevators and mass gatherings in areas of high foot traffic. In a comedic mix of spoken word, dance, and gestures, the dancers explore how we deal with strangers in a public setting. DCB Dance/San Jac Dance PAC performed at the WestFest Dance Festival in New York City on December 8th and 11th, 2011. We were thrilled to be included in this performance at the Merce Cunningham Studio Theater before the theater closes its doors forever this coming year. This festival featured the work of 21 mid-level and advanced career choreographers. The work performed, Herd Instinct, was a brand new choreographic work by Diane C. Bedford, featuring eight (8) dancers. The work premiered at San Jacinto College in Houston, TX in November 2011. Herd Instinct was developed by Diane C. Bedford (DCB Dance) in order to portray the idea of the “pack mentality” in which all members of a group lack individuality causing them to think and act alike. The dance opens with the gathering of the dancers into the herd with aggression, power, precision, and rhythmical attack. By the middle, we see the pack functioning on autopilot, succumbing to the power of the group. But by the end, cracks begin to form in the group and members begin to find frustration with always trying to fit in and follow the herd. But those who begin to distance themselves from the pack will experience isolation, frustration, and helplessness. Their need to belong to the group but their desire to be individuals is explored through awkward movements and explosions of frustration. Our KICKSTARTER fundraiser was a smashing success! We raised $2625.00 to help cover the costs of traveling and performing in New York City. Thanks to everyone who helped us to realize this dream!